Measure twice, cut once: The old carpenter’s maxim is even more important when applied to racing. After all, you can buy a new 2x4, but it’s hard to restart a race. We learned a lesson about double-checking after a recent race with the ChumpCar World Series presented by RVA Graphics & Wraps. We didn’t test our last-minute used engine installation before the event, and that turned out to be a bad decision. The engine blew due to a simple hose failure, one we would have easily caught during a test day. So after our new Treasure Coast Miata engine received a clean bill of health from Wayne at Very Cool Parts, we headed to the track to put some laps on our refreshed racer. Which track? Interesting question. Our main goal was to evaluate our car’s heat management in hopes of avoiding another race-ending hose blowout, or worse. For that we needed a testing ground bigger than the average autocross course or backyard track—a private place where we could stretch our turbo Miata’s legs without insane rental fees or questionable safety features. 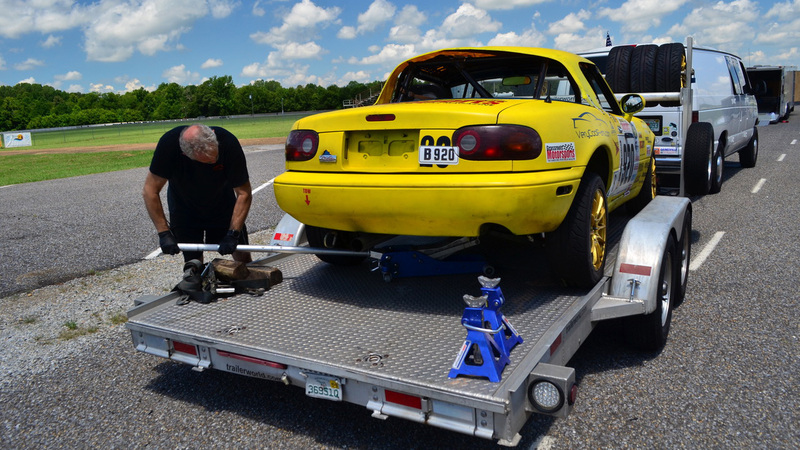 We found our answer at Talladega Gran Prix Raceway, a 1.4-mile track in Mumford, Alabama. It’s big enough to put our Miata through its paces, but small enough to keep from stranding us at the far end. Plus, it has tons of smooth, grassy runoff instead of tire walls at every corner, meaning it has a fairly low chance of banging up our car before a race. Add in easy parking, power in the paddock, plenty of shade, great sight lines, and air-conditioned restrooms, and we knew we’d found our new test track. There’s even a town with hotels and food a few minutes from the track. 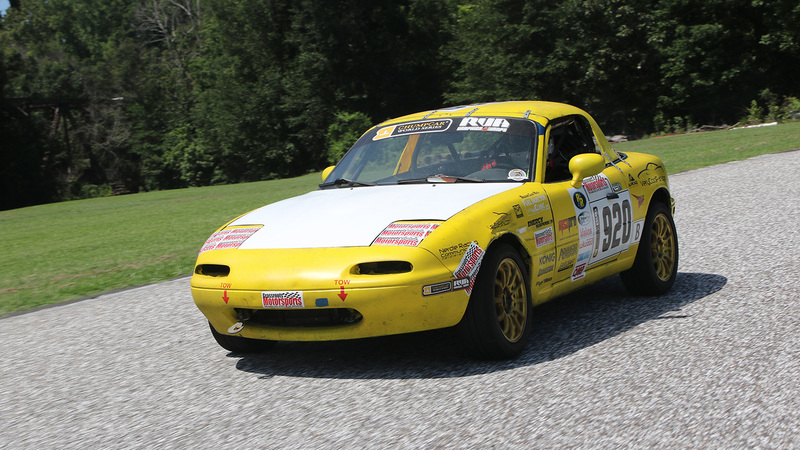 Unfortunately, we didn’t put many laps on our Miata before the realities of racing reared their ugly heads again: Our rear wheels locked up, and the car skidded to a halt mid-corner. Oops. We dragged the car back onto the trailer and started the drive home, anxious about what we’d find when we got back to the shop.